Was Mnangagwa really meant to be killed – or was it something else? I am not an explosives expert, or a security fundi, but the explosion that rocked ZANU PF and Zimbabwe President Emmerson Dambudzo Mangwana's rally yesterday raises more questions than answers, as it appeared like either the work of a pathetic amateur, or was more sinister - calculated to be selective in its effectiveness. We all live in an increasingly dangerous world, with the rise of wars and terrorism, and, as such, have become all too familiar with the workings of some of the most lethal of weapons used – even by the least trained people. Who can ever forget all those images we see in news bulletins of terrorist bombings in such countless as Somalia, Nigeria, Egypt, Syria and even in Europe and the United States. As these terrorist attacks become increasingly lethal, the material used has become more and more basic, such that even a child can Google and assemble a homemade explosive that can inflict unimaginable damage. Who can ever forget the horrific scenes during the annual Boston Marathon on 15 April 2013, when two homemade bombs detonated 12 seconds and 210 yards apart at 14:49 hrs, near the finish line of the race, killing three people and injuring several hundred others, including 16 who lost limbs? These homemade devices were made by two brothers, one of them being a student at the Massachusetts Institute of Technology (MIT), in Boston. These were mere pressure cooker bombs, which are are improvised explosive devices (IEDs) created by inserting explosive material into a pressure cooker and attaching a blasting cap into the cover of the cooker. The explosive material need not be hard-to-obtain highly explosive agents, such as TNT, as they rely mainly on the pressure in the containment unit. This is the same case with pipe bombs, which are IEDs that use a tightly sealed section of pipe filled with an explosive material. Therefore, if an untrained simpleton can manufacture a highly effective explosive material, that can inflict savage damage even from a reasonable distance – considering he or she makes more than one – what type of bomb would inflict such minimal damage, especially as such close range, as witnessed at Mnangagwa’s rally? Although, investigations are obviously still in progress – and there have already been suggestions of a grenade being used – more questions are still raised as to the real motives of this attack. If someone truly wanted to inflict maximum damage, as we witness in Somalia, Nigeria and other terror-ridden countries, highly explosive material could have been used, which could have easily reduced the whole VIP stage into smithereens – and I won’t say much about the people in the vicinity. Without wanting to pre-empt the results of the investigations, reasonable conjecture would suggest that this could have been the work of someone or some people with access to high-grade explosive material – and, as such, could have easily used more destructive material. My mind refuses to think that this could be the work of some ordinary Zimbabwean – as there has never been known to be assassins, especially to the level of bombing the country’s leader. Even those who orchestrated last year’s military coup, could never bring themselves to killing the then president Robert Gabriel Mugabe. Furthermore, from Mnangagwa’s own statement on the Zimbabwe Broadcasting Corporation (ZBC) television, he does not suspect ordinary people to have carried out such an attack. Although, he didn’t divulge who he suspected, but by his reference to ‘people from Harare’, I would hasten to assume he meant the G40 cabal – his sworn enemies, who had presumably, tried to assassinate him several times before. If we are to accept the G40 cabal theory, then the same question begs an immediate answer, why did they employ – with all due respect to the injured, and, according to some unconfirmed reports, one or two deaths – such a mediocre means of assassination? One would assume that such still influential people as the G40 – who would still have support within some military ranks – could have easily obtained equally small, but highly lethal hardware – or failure to do so, could have manufactured effective homemade bombs. Considering the brazen security breach of such an attack, one would be forgiven for suspecting that part of that gang of assassins would be in Mnangagwa’s security team. That would surely send a very serious warning, and give ED sleepless nights. The other hypothesis would be that the choice of weaponry was intended to fatally harm only a particular person or persons. Which person or persons would those be – and why only them? If this was the handiwork of the G40 cabal, then why target only some members of Mnangagwa’s team, and not others? Could this again boil down to the assumption that there are still G40 members even in ED’s highest echelons of power, and, as such, were not to be harmed? If this theory, that some members of the high table were intended not to be harmed, then the reverse of the G40 involvement could also be true – that it was Mnangagwa himself who was meant not to be harmed! Whatever the truth of the bombing may be, it is clear that this would be one those cases that might end up in the ‘cold case box’ – those that would have never been solved. However, one thing is now cleared than ever before – Zimbabwean politics has certainly taken a much more dangerous and lethal nature, especially in the realm of those who were previously considered ‘untouchable’. Ordinary defenceless Zimbabweans had always been the sole victims of aggression at the hands of those in power, yet that has now seemingly changed. Who would have ever dreamt that Mugabe would be toppled from power, especially by his own people, who had previously killed the ordinary folk just to keep him in power? Who would have ever imagined seeing the high table of Zimbabwean political power being bombed in the gaze of the whole world? Yes, this is uncharted territory for Zimbabwe, but a very dangerous one. Just as we warned last year that the acceptance of the military coup, which toppled long-time strongman Mugabe, was setting a dangerously wrong precedence in both Zimbabwean and global politics – the repercussions are slowly, but surely coming to light. Violence of any sort – even if its holding a ruthless leader at gunpoint and forcing him to resign, or bombing a president at a campaign rally, or killing innocent defenceless opposition supporters – should be condemned and rejected at the very higest levels of global geopolitics. Without such a response, what is happening in Zimbabwe is only the beginning of something even the world would not be able to stop. ° Tendai Ruben Mbofana is a social justice activist, writer, author, and speaker. He is the Programmes Director with the Zimbabwe Network for Social Justice (ZimJustice). Please feel free to call/WhatsApp: +263782283975, or (calls ONLY): +263715667700, or email: [email protected]. Please also ‘Like’ the ‘ZimJustice’ page on Facebook. Zanu PF is a party of thugs, last November one lot of thugs stage a coup and 8 months latter the other try to kill Mnangagwa! …. or, imagine this possibility. Mnangagwa killed in MDC stronghold… Chiwenga takes over, elections canceled, Gukurahundi all over again, “rebellion” crushed, ZANUPF no longer in danger of losing power or being brought to book for past crimes. All kinds of possibilities, eh. 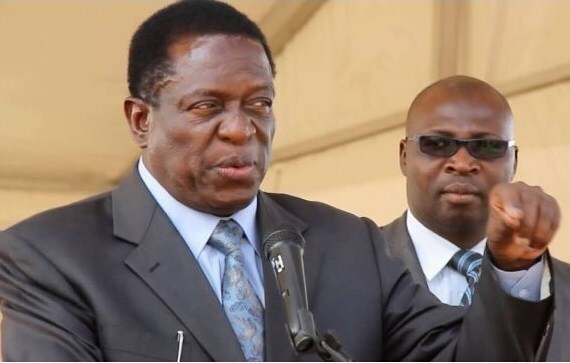 Or it was staged by the crocodile himself, imagine the optics for the masses….ED survives bomb attack surely he is “annoited” by God Himself to rule Zimbabwe. The two lives lost were collateral damage, the important people are still alive. I suppose the conspiracy theories are many.